It can be quite daunting to hand over the reigns of certain parts of your business to someone who isn’t you – I get it! Trust me, it took me more than 5 years as an entrepreneur to learn the art of delegation and give over control on particular verticals within my business so that I could focus on my passion points. Not easy I tell you! But man alive, it feels so good now to be able to delegate certain “pesky” tasks allowing me to focus on marketing and sales of the business, which I’m really good at and thoroughly love doing. As an entrepreneur who has been on this amazing journey since 2008, who wanted to do it all herself, I’ve learned many lessons along the way (and I’m sure there are many more to be learned! ), it took a different mind-set to understand that I too need a Virtual Assistant. There comes a tipping point where you only have so many hours in the day, you can only achieve so much and then you need to start outsourcing, looking for outside help. I firmly believe that in order to achieve huge success and greatness really does take a team. So get your team together in order for you to enter the big leagues and start scaling your business. It may be this is the very first time you’ve heard of a Virtual Assistant or a Virtual Office Assistant or even a mobile Personal Assistant. Or you’ve done the research, you’re really keen to begin outsourcing, however, there’s a small blocker – who do you get to help you? Screen your shortlist of potential Virtual Assistants : take the time to do extensive research either on the VA or the VA Agency that you would like to hire. By this I mean, check out their online presence, get a sense for the owner and the business, find out what others are saying about them. Do some online screening as your first port of call! Interview your VA : don’t be shy to interview any VA you wish to hire. This could be a casual phone call or a Zoom digital meeting. Again, the idea is to get a sense of the person behind the brand. Skills and expertise : be sure that your prospective Virtual Assistant has the skills to do the job or at least has the right attitude to learn the desired skills. I want to say it’s virtually impossible to find a single VA with admin, office, marketing and design skills, but that’s not a roadblock. As long as she shows that she is willing to learn any new skill, your money is in the right place. Don’t make the same mistakes others make when hiring a Virtual Assistant for the first time. Do a trial period if need be : ask your prospective VA if she is happy to do a trial period. The best way to gauge a person’s capabilities and aptitude is to give them a task or few to do. Please be prepared to pay for this trial period, as the Virtual Assistant is using her valued skills and time to make your life better. Be prepared to pay for what you get : so, if you pay peanuts, what do you get? Right? Once you’ve gotten a sense about the person, a good feeling of their company and that they are a right match for you and your business, then be prepared to pay what it takes to get the job done, and ultimately free up your time, so that you can focus on your genius areas. Hiring a Virtual Assistant is not rocket science. However, do make the effort to find the right match for you. 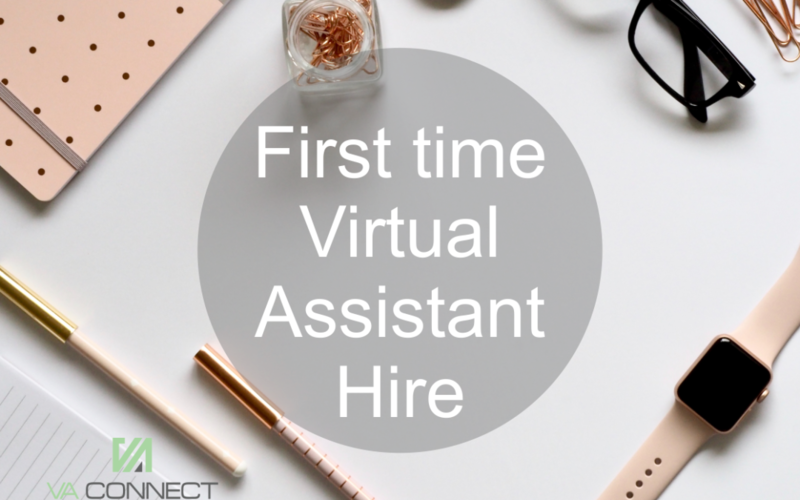 After all, your Virtual Assistant does become an essential part of your team, and you want to be sure this person is someone you can hang around the proverbial water cooler with!